Home › Newsroom › Is the Biggest Weekend a Big BBC Blunder? The so-called ‘Biggest Weekend’ festival will take place in Coventry, Perth, Swansea and Belfast in the last weekend of May, with artists across the four sites including Taylor Swift, Ed Sheeran, Noel Gallagher, Snow Patrol, Beck, Manic Street Preachers, Public Service Broadcasting, Courtney Barnett and Nigel Kennedy. Part of the reasoning behind the BBC Music event is that 2019 is a fallow year for Glastonbury, so the good British public evidently have no other festivals to choose from, not taking into account the estimated 9, 999 festivals that take place across the UK that aren’t Glastonbury. 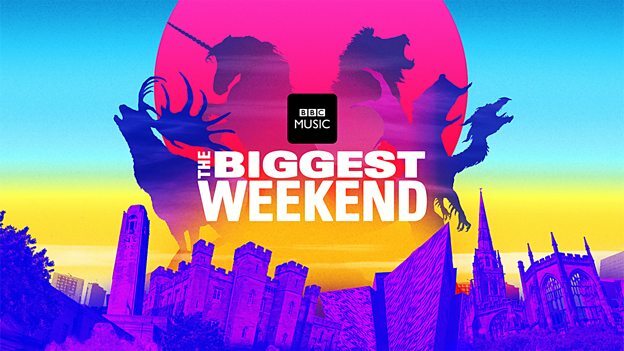 Director of BBC Radio and Music Bob Shennan trotted out this quote upon announcement: “The Biggest Weekend is going to be a once-in-a-lifetime festival for everyone that loves music, whether they are at the venues in person or enjoying the whole spectacle of performances being streamed through iPlayer along with all our TV, radio and digital networks. Wherever you are in the country, you will be part of the biggest music event, with the widest selection of musical genres, the BBC has ever put on”. All of which is great for the BBC but the problem here is that as a publicly funded entity, the Corporation should simply not be interfering in the commercial market. But what about the legacy and buzz it all creates that actually results in people attending more events in those areas? This event may well have that butterfly effect in the way that Glasto does and if so great, but does the BBC parachuting into an area once a year and riding out of town like a circus really help other events organisers on that patch? Using license payer’s money to stage several huge pop concerts, enticing artists to play at presumably reduced fees (if any at all) with the lure of broadcast reach and charging a ticket price that is well below the going rate inevitably results in market distortion. Surely, it would be more cost effective for the BBC to broadcast existing events as opposed to expanding their own festival and event portfolio? The BBC actually has a public purpose to represent “The UK, its nations, regions and communities” and this is already not reflected in festival coverage across its broadcast platforms. Instead, Auntie chooses to make the playing field even less level than it already was for independent operators and in fact compete with them in service of promoting its own ‘BBC Music’ brand.